Renu in a snap! Renu is the smart new line of decorative electrical products from Leviton. Install Renu and get a fresh stylish look, plus the ability to change the color of any Renu device when you update a room. The Renu line includes switches, outlets, GFCIs, dimmers, and sleek, screwless wallplates, available in 20 designer colors to blend in or contrast with your decor. All Renu RE153 3-way switches are shallow in size, self-grounded*, and have Quickwire, back, and side wiring options for fast, easy installation. The selection also includes single-pole and 4-way switches. Use only with Renu wallplates. *When installed in a properly grounded metal wallbox. Base Unit for 3-Way Switch (Face and Wallplate not Included) Renu in a snap! Renu is the smart new line of decorative electrical products from Leviton. Install Renu and get a fresh stylish look, plus the ability to change the color of any Renu device when you update a room. The Renu line includes switches, outlets, GFCIs, dimmers, and sleek, screwless wallplates, available in 20 designer colors to blend in or contrast with your decor. 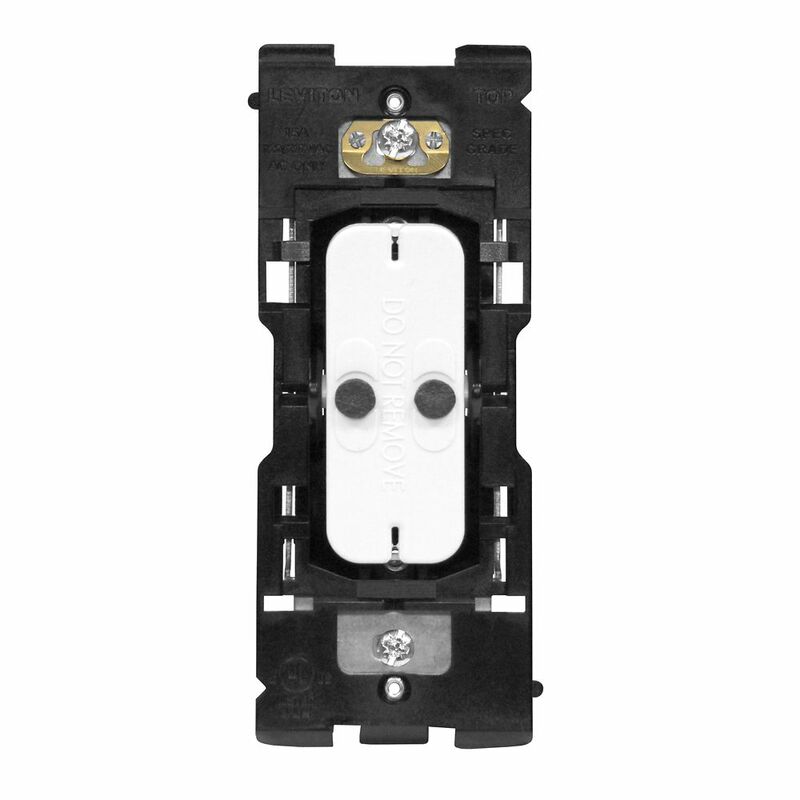 All Renu RE153 3-way switches are shallow in size, self-grounded*, and have Quickwire, back, and side wiring options for fast, easy installation. The selection also includes single-pole and 4-way switches. Use only with Renu wallplates. *When installed in a properly grounded metal wallbox.